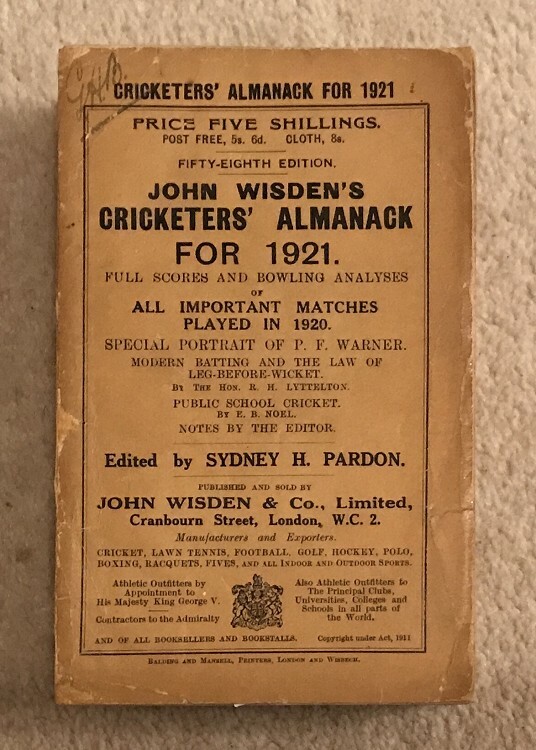 This lot is an Original 1921 Wisden Paperback. In Very Good Condition. This Wisden is very nice, there has been a spine touch up and corner work to covers and a small nick to the front cover (a bot worn to the edge) but other than that this is a very nice book with clean pages & excellent photoplate. Postage: £4.90 - First class recorded Delivery & Jiffy Bag.